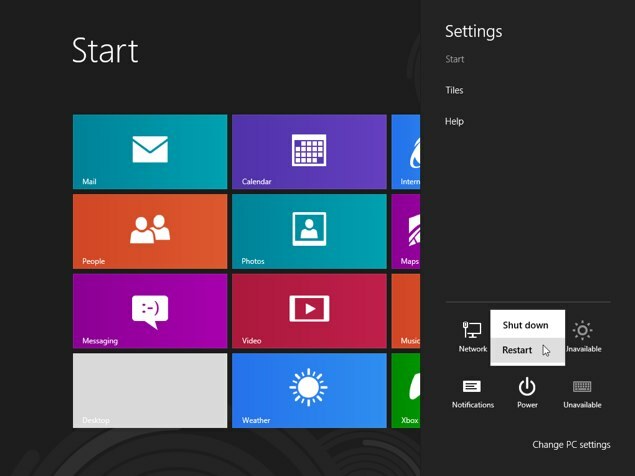 I have quite a few friends that have tried out Windows 8 at this point, and the first question they always ask is “how do I shutdown Windows 8?” It might sound like a stupid question, but Microsoft ditched the Start Menu that has been in Windows for a long time, and as a result the shutdown/restart buttons also got tucked away in a new spot. 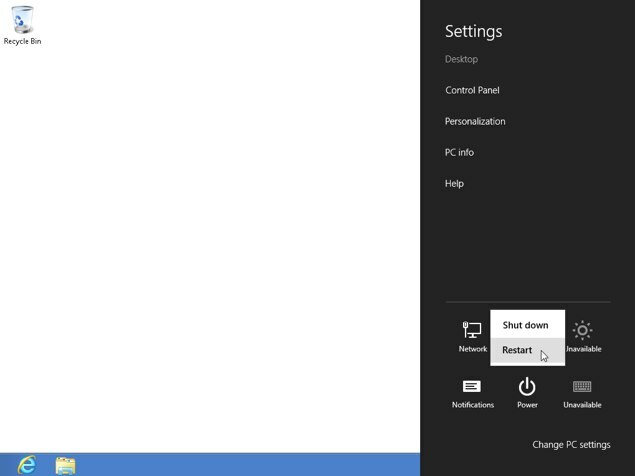 Why did Microsoft make the shutdown and restart buttons so hard to find in Windows 8? The general philosophy with computers these days is that you don’t need to turn them off. If you’re using a laptop you just close the lid and it will go to sleep, or for desktop users the machine is set to go into standby after it sits idle for a period of time. There will always be instances where you might want to shutdown or reboot your computer though, and I’m going to show you how to go about doing that. For the keyboard junkies out there you’ll be happy to know that there is a quick way to access the power options. If you press the WinKey+I you’ll immediately be shown the same Settings sidebar that appeared using the previous method, but with fewer steps. The other bonus is that the keyboard shortcut also works from the Windows Desktop, which means you can restart your computer without having to first go back to the Metro interface. The final option that I’m going to present to you is creating your own desktop shortcut. We wrote an article about how to create a desktop shortcut to shutdown your computer 6-years ago, and so I’ll just refer you to that. 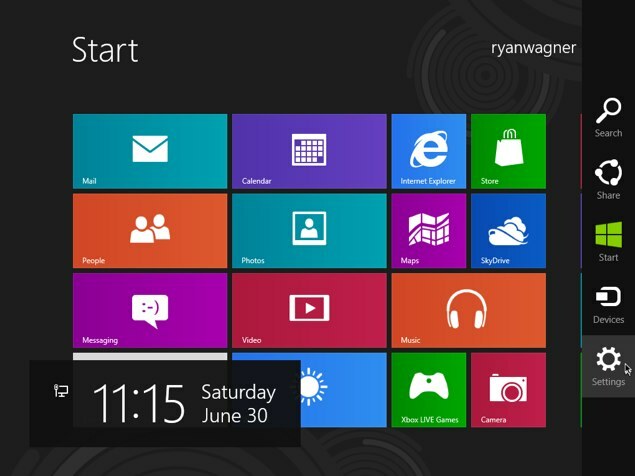 Those same instructions still work in Windows 8.